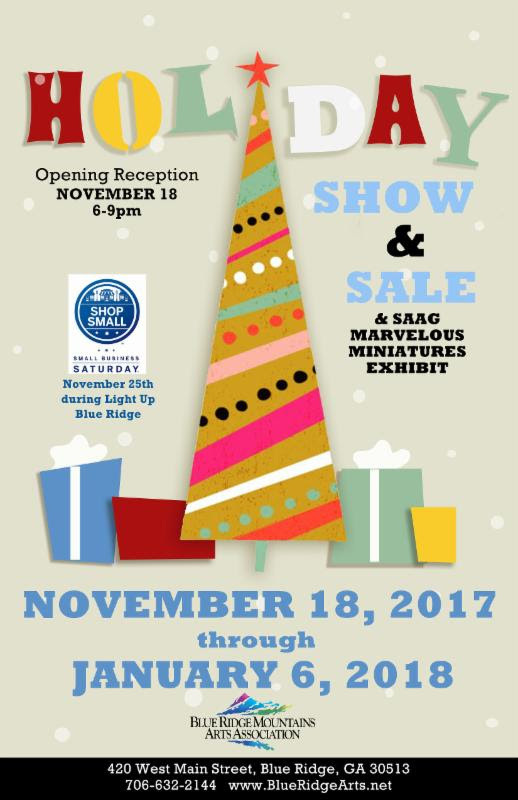 Come shop for that perfect holiday gift, one that is creative and unique. We have a multitude of artistic and handcrafted items for sale, all made from our member artists. So whether it is jewelry, pottery, paintings, or anything in between, we have that unique gift for your holidays. 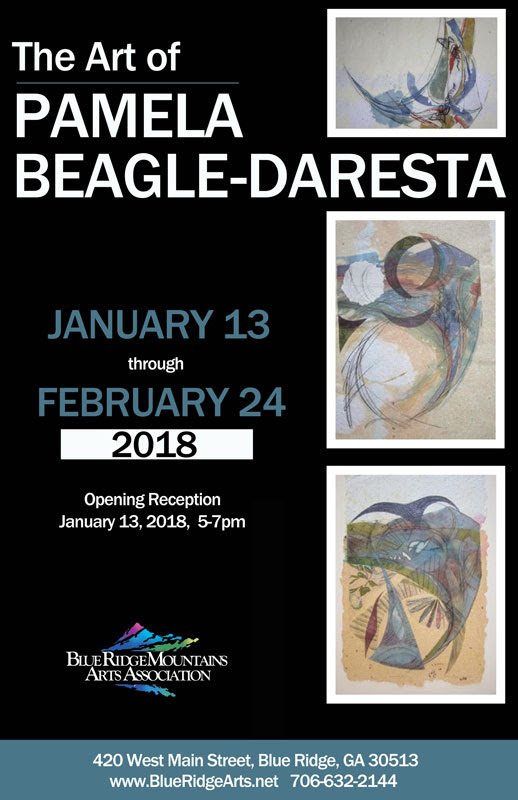 On Display through January 6, 2018! 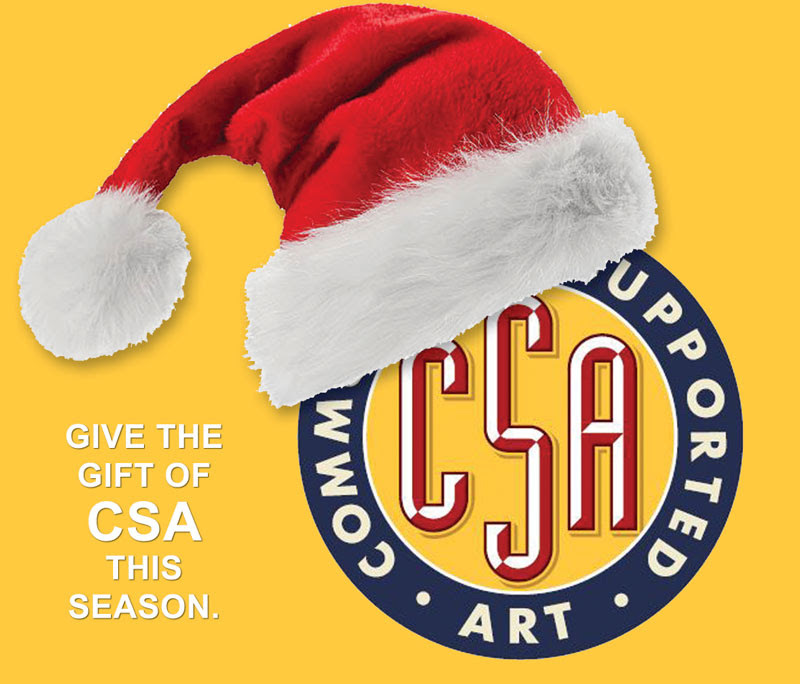 Give your favorite art lover a gift they will continue to cherish! 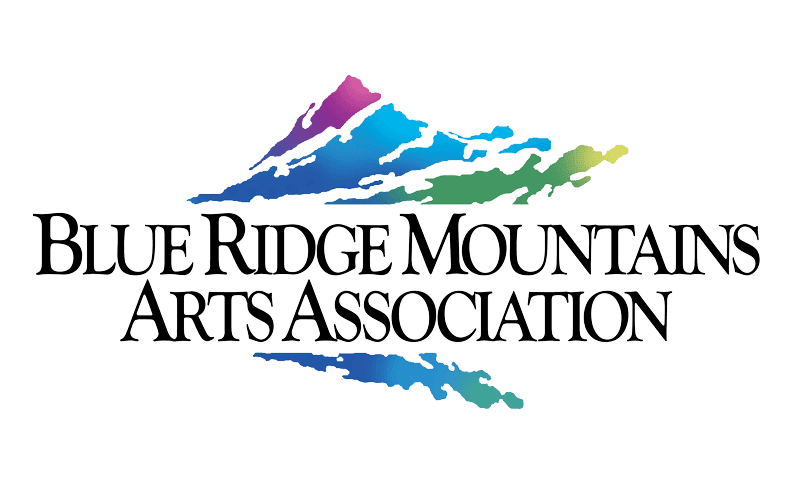 Each $300 share purchased entitles the shareholder a total of EIGHTlimited-edition pieces of art valued at $600, created specifically forCSA Blue Ridge. Click here to find more information and purchase a share. t and concise a people tend not to read much more than a couple of paragraphs. New membership benefits will be coming in 2018. Stay tuned! 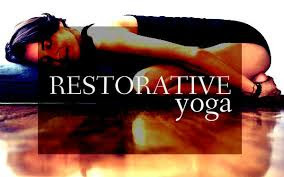 Restorative yoga allows the practitioner to enter a state of deep physical and mental relaxation. Although some yoga experience is helpful, there is no prerequisite of knowledge or flexibility; extensive use of props and supports helps every body attain positions that encourage restoration. Come in and enjoy music and dancing while toning up your body. This workshop is for adults that are looking to improve their general state of fitness. Come have fun, dance your shoes away, burn calories and tone your body in a very friendly atmosphere. Each session includes; stretches and warm-up for major muscle groups, exercises to tone upper and lower body and core, dance routines choreographed to increase aerobic capacity while learning dance techniques. The supply list that is recommended is: water, towel, suitable aerobic sneakers, and comfortable active wear. The optional list includes tap shoes, handheld weights. 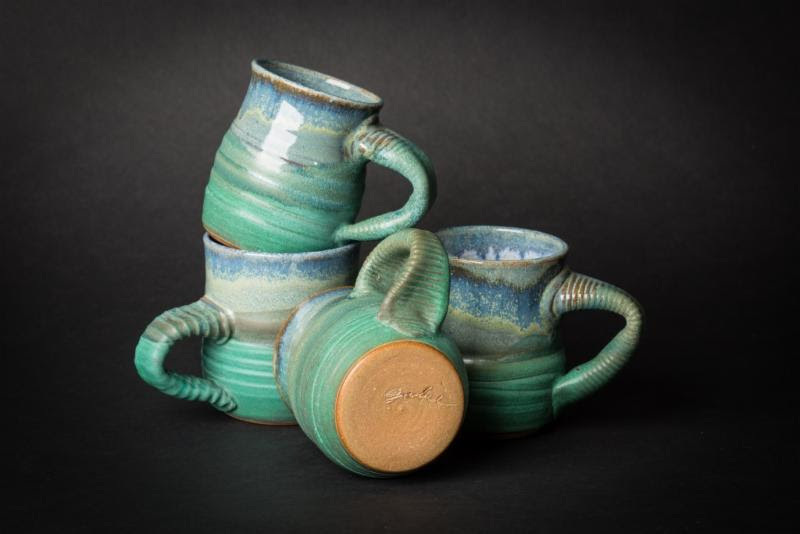 Mark this class on your calendar to come each month to “Discover Pottery”! These classes are independent of each other; therefore, you can come to one or all the classes and learn the techniques of pottery. 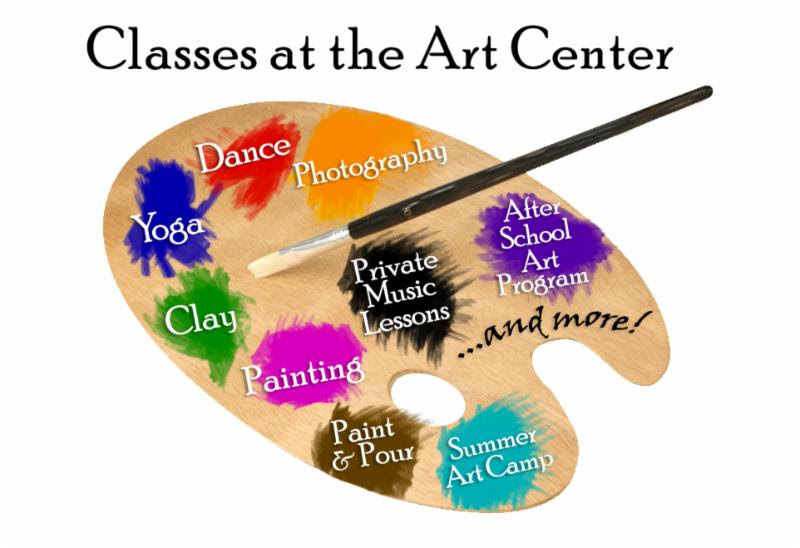 In these clay classes the students will make a variety of creative clay pieces and apply glazes. Each class will focus on different techniques and projects creating functional vessels and figurative sculptures. Some of the projects include decorative tiles, cups, garden sculptures, birds, lidded boxes and pinch pots to name a few. Students will take home some great creative clay pieces. 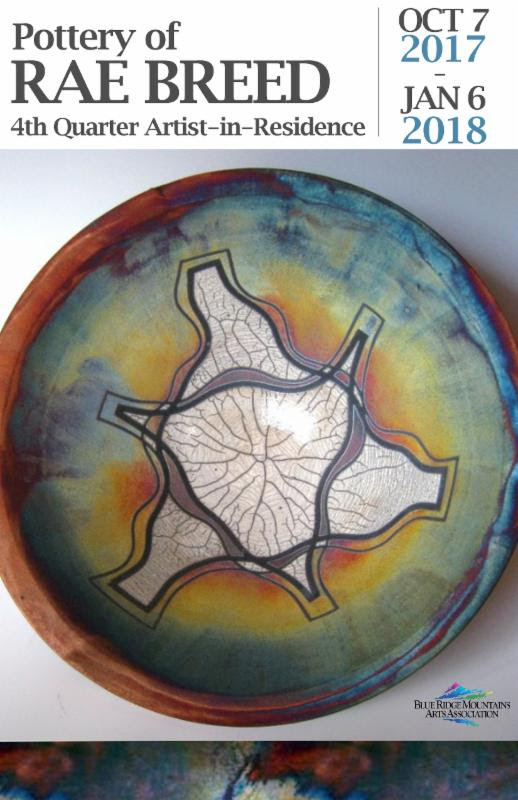 Each class fee will be $40.00 plus a $10 Supply Fee for clay, glazes and kiln firing. 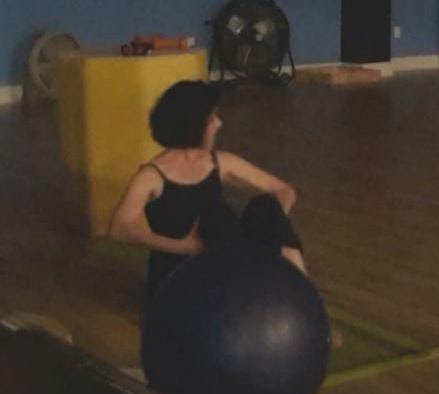 Come bring your friend or relative to class and create some great fun memories! Make something beautiful! Learn the basic techniques of cutting, stitching, and decorating leather as you create one-of-a-kind shoulder bags and pouches. Your first bag will introduce you to the stitching technique (Intro to Leather Crafting). The unique bag comes with a shoulder strap and tassel. Students will take home a completed leather bag. In Leather 1, you can create your own design and shape. Learn how to use a woodburning tool to inscribe a design on the leather, and how to colorize it. All leather, materials, tools and instructions are provided. 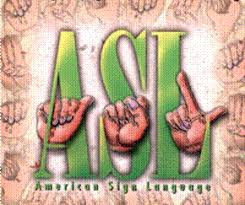 Beginning and Intermediate students are in this one class. Note: Previous students can attend any class and work on advanced projects. 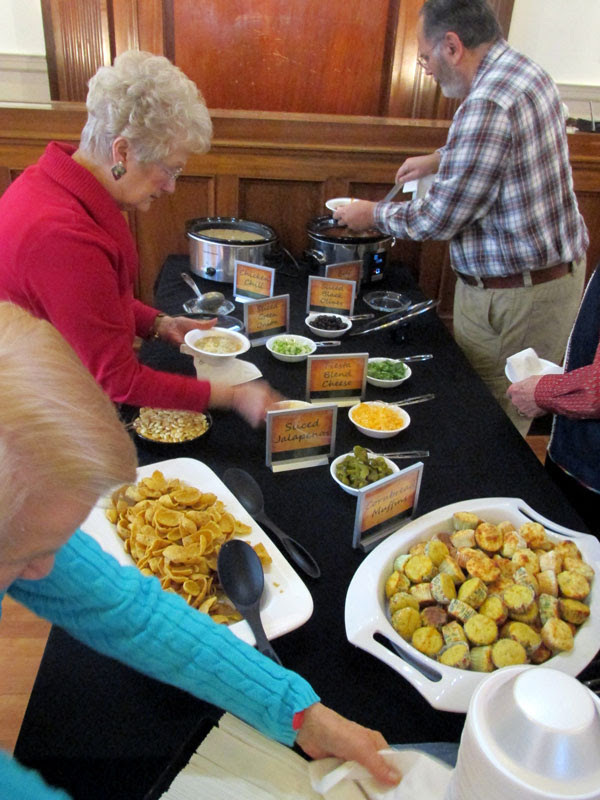 Students are welcome to bring a sack lunch or snacks. 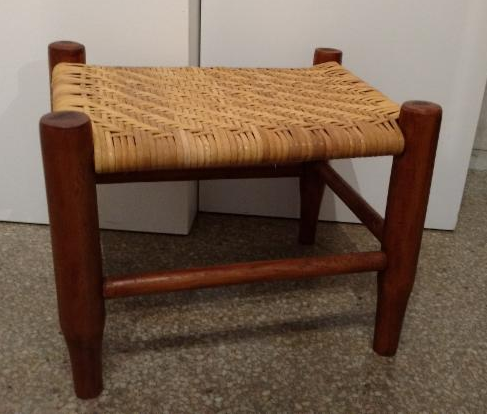 What a great class to learn how to weave a cane seat for your own personal foot stool. The student has a wonderful chance to take a weaving class from an experienced weaver who can teach beginning and intermediate levels. In this 2 day class, the student will receive a framed wooden stool and supplies to cane a stool. The completed stool will be finished on the top, as well as the bottom. What a great present for someone! Come bring a friend and keep this weaving technique from becoming a lost art. There will be a short break for lunch, students are welcome to bring a sack lunch. The supply list includes: 4 Alligator clips, a dull knife and a towel. The Art Center will supply the spray bottle and bucket. 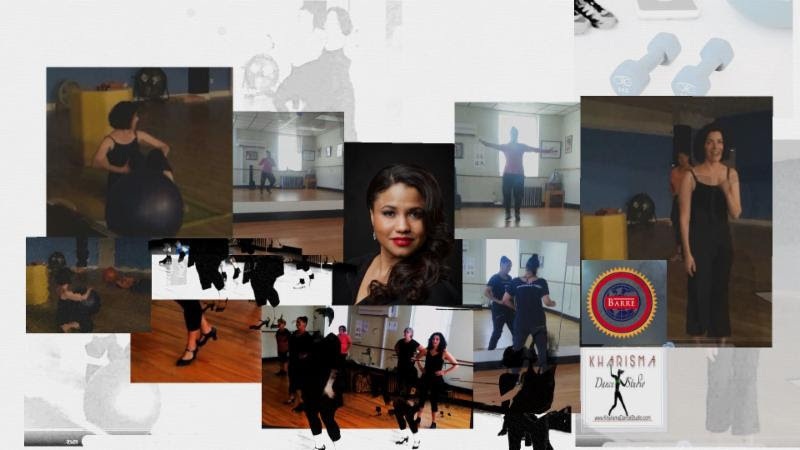 Come enjoy music and dancing while improving your general state of fitness. If you always wanted to learn tap, this class is for you. Expect an invigorating aerobic workout, while toning leg muscles, core and improving balance. Steps are basic enough for everyone to enjoy. It is a great class to meet new friends and have a fun time. The class requires tap shoes, exercise mat and water. Optional dumbbell weights for toning 1-5 lbs. can be used. This class runs from 10:30 am-11:10 am. Stay for the next class of Cardio-Dance Fitness which features dance routines choreographed using a variety of music genres. Celebrating music from all over the world and keep your body moving and grooving! This class runs from 11:15 am-11:55 am. Aerobic sneakers are suitable for the class. The final class, Tone and Stretch, tones up your muscle and focuses on core strength. It is a non-aerobics class that uses handheld dumbbells merging with a dance inspired workout by ballet, yoga and Pilates. Expect exercises to tone the upper body, lower body and core. 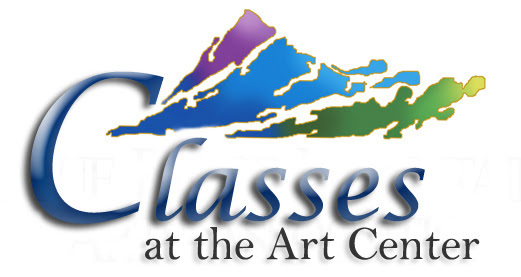 This class runs from 12:00 pm-12:45 pm. The class requires an exercise mat and water. Each class is designed to increase aerobic power, make you sweat and burn calories while having fun. Class Fee pays for all three classes. Bring back one of the most popular and fun classes. 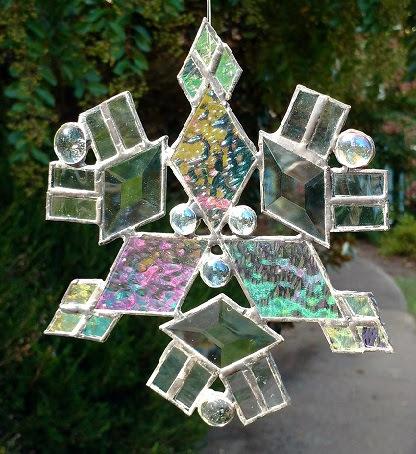 In this Stained Glass class the student will create one of a kind glass snowflake. The Instructor will have several geometric shapes available as well as glass gems. The finished snowflake can be one color or many colors and shapes. The student will learn techniques including cutting, foiling, soldering, setting hangers, applying patina and glass polishing. 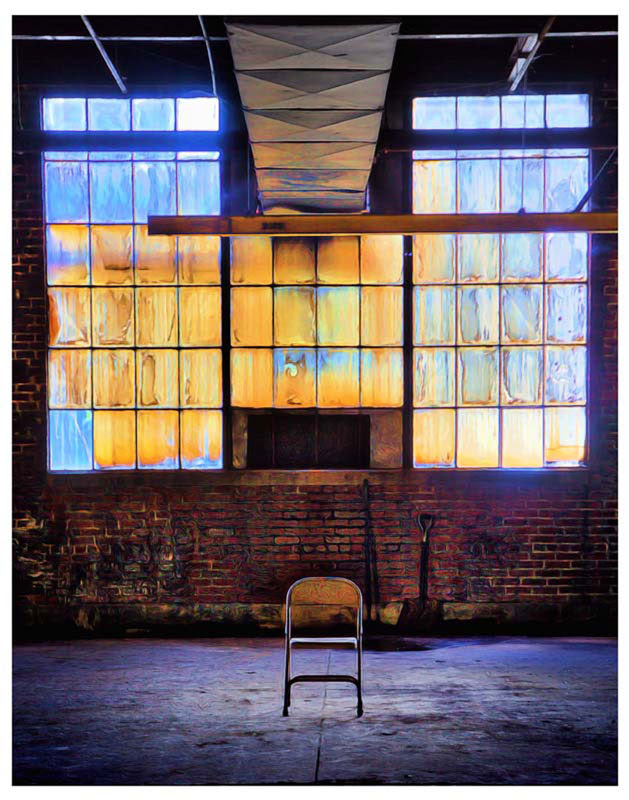 The Instructor will supply the stained glass, foil, tools, grinder, soldering iron, solder, patina polish. The student’s supply list includes: safety glasses, pen or pencil, black sharpie, and please wear closed heel and toe shoes. It is a really fun and unique class! This is your holiday class to take with a friend or family! Create personal hand-painted cards for family and special friends. Use them for holiday greetings, thank you cards for holiday gifts or other occasions. No painting experience required. 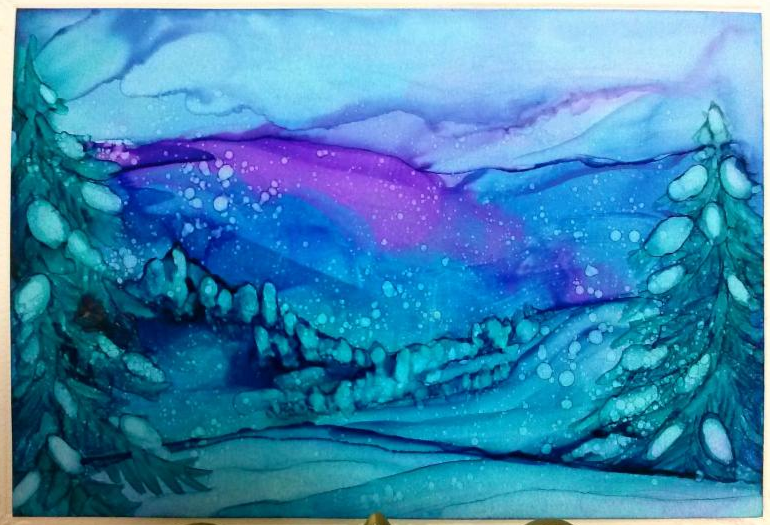 The Instructor leads you step-by-step to paint 3 simple winter landscapes with alcohol ink on YUPO paper. Your finished designs are sprayed to prevent fading and then inserted into a photo frame card. All supplies provided to paint 3 cards with envelopes. The Instructor also provides an information handout if you are inspired to continue this craft on your own. 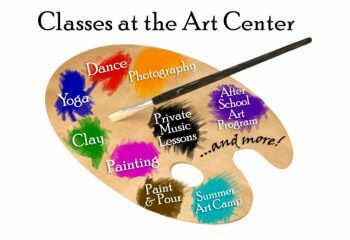 Come be creative and learn something new! What a unique class to sign up for! Each Student will take home a pair of Dichroic Fused Glass earrings. In the beginning of the class, the Instructor will have a short introduction on how to cut glass. The Instructor will demo different designs and give the student some options on creating one of kind pieces of art. 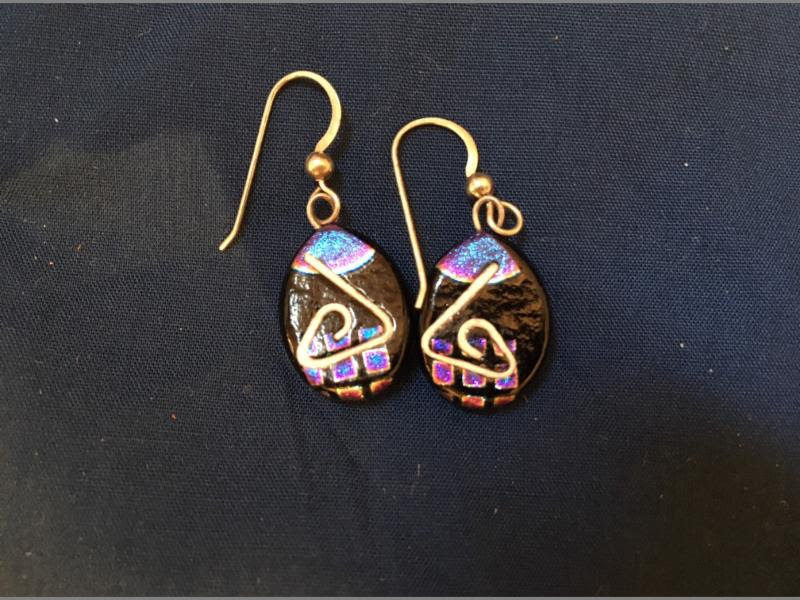 The students will design, cut, prepare inlay and fire a pair of earrings all in 3 hours. 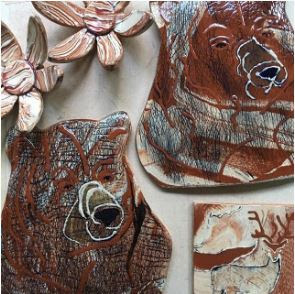 Some of the techniques the students will learn are kiln wash vs fire paper and fusing in the kiln. Students need to bring safety glasses for cutting glass. Class space is limited. Come join the fun! 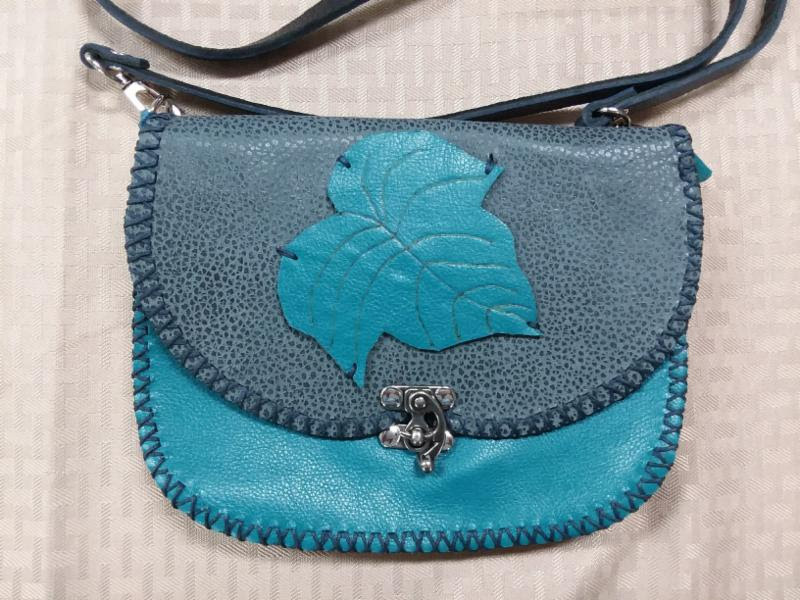 Once learning the skills of cutting and stitching leather, you will create a beautiful hand crafted leather shoulder bag. In this fun class the student will be using a wood burning tool that inscribes a design onto the front of your shoulder bag. Students will also have the options of decoration their bag, which includes a strap, with tassels and “bling”. You can design a one-of-a-kind shoulder bag for yourself or give as a present. The Instructor supplies all the materials necessary for your creative leather bag. Craft your own design for a bracelet or necklace from a treasure trove of semi-precious stones, crystals, Czech glass, pearls, wooden beads, and more provided by jewelry artist, Vicki Wagoner. 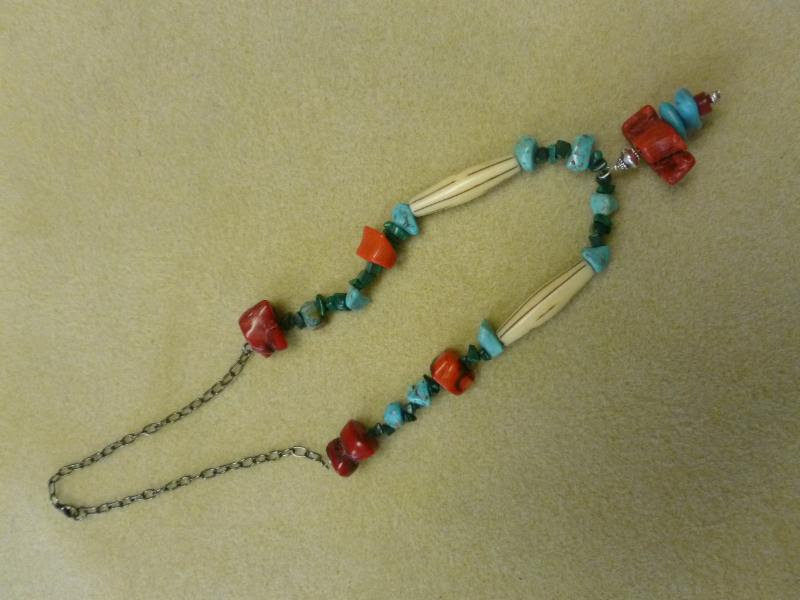 She will assist you to learn the basics of beading, from picking the perfect beads to working with the right tools to finish your own lovely one-of-a-kind creation that you will proudly wear home. Ages 7 and up welcome! These unique holiday coasters & trivet make nice gifts or use them on your holiday table. 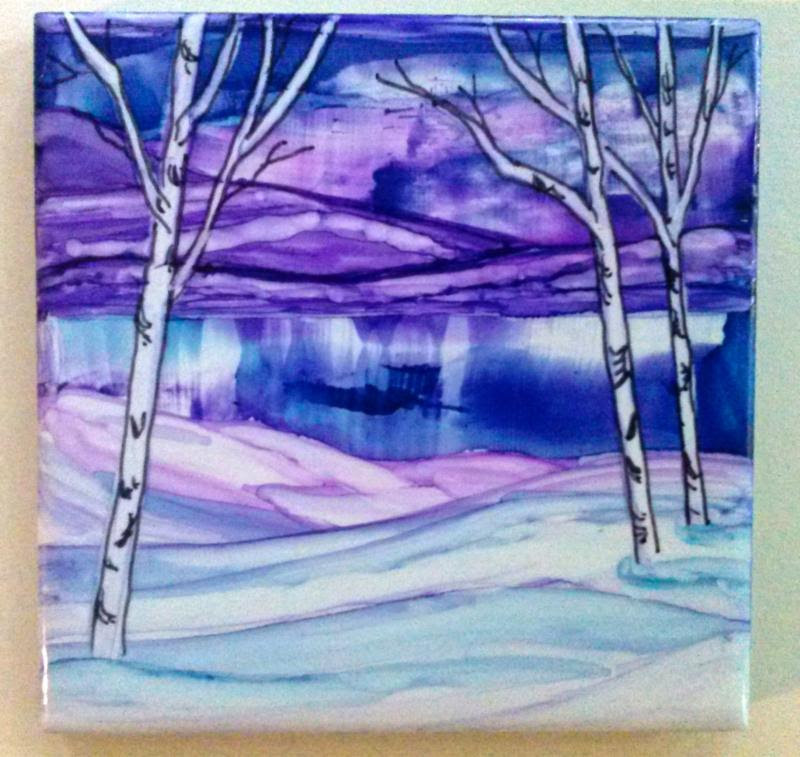 No experience needed to paint holiday designs on ceramic tiles with alcohol ink. The Instructor demonstrates easy ways to apply colorful alcohol ink with Q-tip, felt, sponges and brushes to white glazed tiles. Select your favorite colors and create a design free-hand or with a template. When dry, tiles are sealed with layers of varnish to make them heat and water resistant. All supplies provided to create 2 coasters and a trivet. Instructor also provides an information handout if you are inspired to continue this craft on your own. Have some fun and create a some great Christmas gift.